The exhibition A Legacy Inscribed: The Lawrence J. Schoenberg Collection of Manuscripts is now available online. The original exhibition was curated by Lynn Ransom and took place March 1 – August 16, 2013 in the Penn Library’s Goldstein Family Gallery, located in the Kislak Center for Special Collections, Rare Books and Manuscripts. 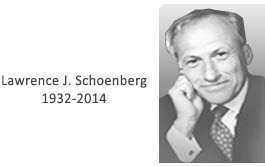 In 2011, University of Pennsylvania Board members Barbara Brizdle Schoenberg and LawrenceJ. Schoenberg (C53, WG56) donated the Lawrence J. Schoenberg Collection of Manuscripts to the libraries. The Schoenberg collection brings together many of the great scientific and philosophical traditions of the ancient and medieval worlds. Documenting the extraordinary achievements of scholars, philosophers, and scientists in Europe, Africa and Asia, the collection illuminates the foundations of Penn’s academic traditions. Each section of the exhibition – Arts and Sciences, Communication, Design, Education, Engineering, Law, the Medical Arts, and Social Policy and Practice – showcases texts, textbooks, documents, and letters that embody the history and mission of the schools that form the University. Often illustrated with complex diagrams and stunning imagery, the manuscripts bring to the present the intellectual legacy of the distant past. Categories: Manuscript Research, Medieval | Tags: Exhibits, manuscripts | Permalink.